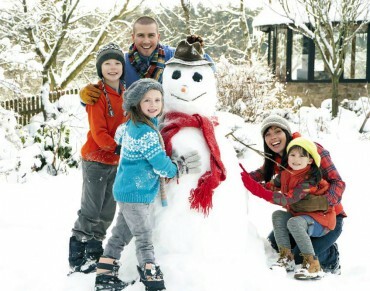 Winter brings shorter days, longer nights and lower temperatures. There are few things more comforting than coming in from the cold to a house filled with the intoxicating smells of homemade bread and a pot of soup. The beauty of most soups and stews is that you put them together, cover and forget until you are ready to eat. 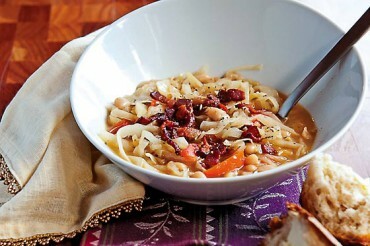 Soups and stews are great for a crowd because you can do all the work before company arrives and you are free to mingle. Impress your guests by ladling the soup into a pretty bowl and large mug and then pairing it with wonderful homemade crusty bread. 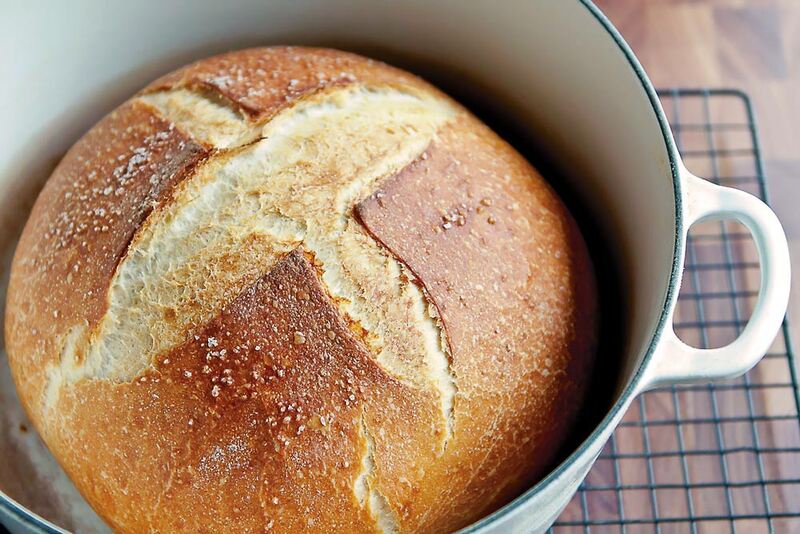 Many people are intimidated at the very thought of baking their own bread, but this Dutch oven method makes it super simple and almost foolproof. 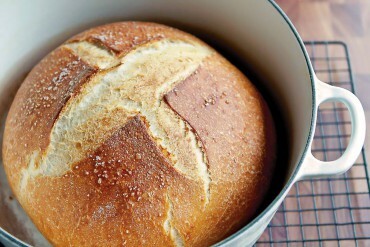 Cooking the bread inside the Dutch oven is a technique I learned about from Michael Ruhlman’s book “Ratio.” The Dutch oven allows steam to be trapped inside the pot, which is what creates that elusive, crisp exterior crust not usually achievable at home. This bread is a wonderful accompaniment to the White Bean and Cabbage Soup. Cold weather calls for a hot drink. The Bishop is a perfect option — a little retro, easy to make, also perfect for a crowd and not overly “boozy.” The only trick is that you will need to bake an orange. 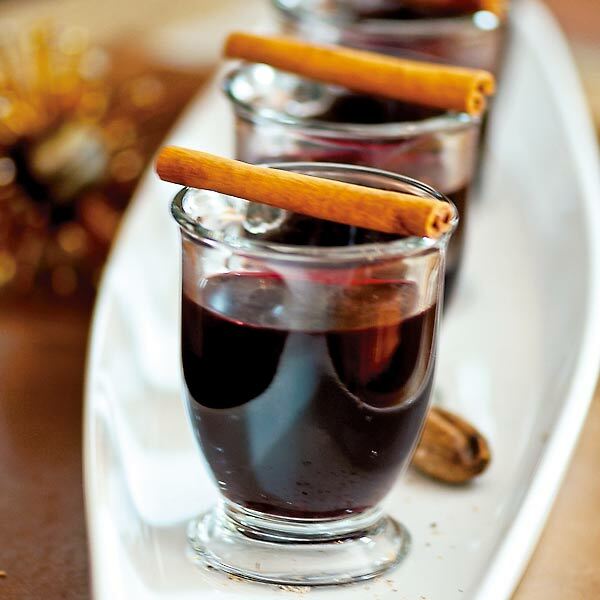 Be sure to serve in small cups so that it can be enjoyed before getting cold. This recipe originated from Bon Appetit back in 2002 and over the years, I have adapted it to better suit our personal tastes. This is one of my most requested recipes. In large Dutch oven or heavy pan, heat 2 tbsp of the olive oil over medium-high heat and brown meat in batches on all sides. Careful not to overcrowd the pan, as you want the meat to brown quickly and not steam. Transfer meat to platter and set aside. Reduce heat to medium, add remaining 2 tbsp olive oil and cook onions slowly to sweat them, taking care not to burn or brown the onions. The process will take about 10-15 minutes. Return meat to pot, add 1/2 bottle of wine and tomatoes. In small bowl, combine hoisin, black bean sauce, Sriracha and tomato paste and whisk together. Add to pot and stir in. Add bay leaves and cover. Let simmer over low heat for 1 1/2 – 2 hours, stirring occasionally. Add carrots and remaining wine (reserving a glass for yourself if you like), cover and continue cooking for another 1 – 1 1/2 hours or until meat is falling apart and carrots are tender. In small bowl, whisk cornstarch and water together. Remove lid, stir in cornstarch mixture and bring heat up to medium. Cook for 8-10 minutes or until sauce is thickened. If you feel it needs additional thickening, repeat cornstarch procedure. Serve over mashed potatoes and sprinkle with chopped parsley. 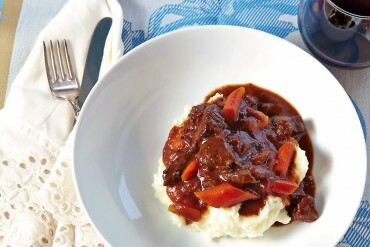 TIP: This also works well in a slow cooker. In large heavy pot or Dutch oven, cook bacon bits until brown and crisp. Remove with slotted spoon and transfer to paper towels to drain. Add 1 tbsp olive oil to bacon drippings and add sliced onions to pot. Cook slowly over medium heat to allow onions to sweat and soften. Do not brown the onions. After approximately 10 minutes, or after onions have begun to soften, add bell pepper strips and continue cooking gently for another 10 minutes. Add cabbage and red pepper flakes to pot, another 1-2 tbsp olive oil and mix well with onions and pepper. Season with salt and pepper. Allow cabbage to begin to cook down, stirring often for about 10 minutes. Add beer and stir well. Keep an eye on the pot to prevent the beer from foaming up. Simmer for 5 minutes and then add rinsed and drained beans, stirring to mix everything together. Add chicken stock and allow to simmer for 30 minutes. Check and adjust seasoning as necessary. Depending on your preferred soup consistency, you may want to add additional stock. Ladle into soup bowls and top with bacon bits. Serve with warm crusty bread and cold beer. This is a very old-fashioned drink that is easy to prepare and makes enough for a crowd. It’s thoroughly warming and absolutely delicious. The only trick is to give yourself enough time to bake the orange. Place the orange on a baking dish and bake in a preheated 350-degree oven until the skin is lightly toasted, 60 to 90 minutes. Remove from oven and let cool. Heat port and water in a saucepan until gently simmering. Stir in sugar, lemon juice and spices. Cut the orange into slices. Add the orange and its juice to the pan of port along with cognac, if desired. Stir and serve in small cups so the drink will stay warm. In a heavy-duty stand mixer fitted with a dough hook, add the flour and then the water. At a low speed, mix the flour and water until just combined, about 1 minute. Don’t worry if there is a little bit of dry flour at the bottom of the bowl. Cover the bowl with a towel and let the flour absorb the water for about 15 minutes. This is called the autolyse or hydration period. Turn the mixer speed to slow-medium and slowly sprinkle in the yeast and continue mixing until it has been completely incorporated, approximately 2 minutes. At this time, sprinkle in the salt using the same method and then turn the speed up to medium and mix for about 5 minutes. Dough should be smooth and elastic and completely clean the sides and bottom of the bowl. Turn out onto lightly floured board and pull into tight ball. Cover with lightly floured towel and let rest for about 15 minutes, which allows the gluten to relax. Uncover the bread and punch or slap in down. Using both hands, stretch the dough out and fold it back up. Repeat in opposite direction and then reform into tight ball, return to mixing bowl and cover with plastic wrap. You can either let this rise without any further action for about 1 1/2 hours to 3 hours until doubled in size or to further develop the texture, you can repeat the slapping and stretching process 1-2 more times, letting it rest for about 15 minutes each time. Once the dough has doubled, you are ready to shape it into a tight ball; the tighter the better. Coat the bottom and sides of a large Dutch oven (the enameled kind) with oil. Put the dough in the center of the pot and cover with the lid. Allow the dough to rise again, 30-60 minutes. While the dough is rising for the final time, preheat your oven to 450 degrees. Drizzle 1 tbsp olive oil over the dough, score with a very sharp knife or razor to make an “x” — this will allow the dough to expand properly. Sprinkle with kosher salt if desired, put lid back on pot and place in oven for 30 minutes. Remove lid and reduce temperature to 375 degrees and continue baking until bread is nicely browned. Turn bread out onto wire rack and let cool for at least 30 minutes to allow interior to finish cooking and prevent an upset stomach. TIP: If you plan on making bread more than once, I recommend buying a couple of linen towels that are your dedicated bread towels. Work some flour into these towels and use them to cover the bread while rising. Do not wash, but simply shake out any excess flour when done and let dry completely before storing.